One of the main place and attractions that you have to go to in Amsterdam would be the Heineken Experience. It is one of the most hype, vibrant and ongoing places in town. It is actually a fancy name for a museum and brewery of the famous Heineken Beer. It is a really popular one in town. I mean, from anywhere in the world, you would have probably tasted a Heineken Beer before anyway! P.s A fresh one here tasted so good anyway! 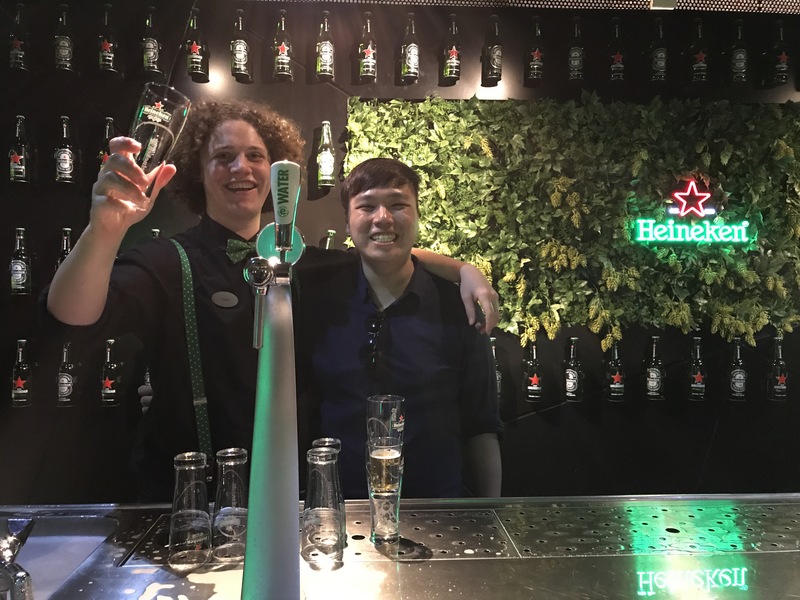 The Heineken Experience is located roughly about a 10mins walk out from Dam Square. It is located near the Albert Cuyp Market. You can get the tickets onsite but I will definitely recommend you to get in online since it will be cheaper and in the summer months, I am sure there would be crowds. I got the ticket for 16 Euros, once you enter the building you will immediately get a different vibes. After a super long bus ride from Brussels I am finally in Amsterdam, it is a little bucketlist checked. I will not say that Amsterdam is high up on my list but everyone have been like Amsterdam this Amsterdam than. Oh yea you definitely have to go see Amsterdam! Now I can finally check this place out for myself. To share a little on the journey. It was my very first time taking the intereurope bus this time around. I went with Flixbus! It is one of the most famous companies in Europe. Pricing on its affordable, convenient and trustworthy ride. It connects many cities around europe. Comparing to trains sometimes it may be alot cheaper. It is actually only a 2 hours ride to Amsterdam from Brussels, after a sad goodbye with Chloe, off i go. First, it was a replacement bus, so no wifi! Yes Flixbus offers wifi onboard. Then the lucky me got a customs check, just by luck and random, where we were delayed about 30mins since the police came up and check one by one! I will share more on bus journeys in Europe in a separately post shortly! To cut things short, the whole journey took more than 3 hours, with the traffic and everything. After a couple mins train ride into the Amsterdam Central Station off I go in look for the Bed and Breakfast! Can be said as the very first city of my stay since Cologne was just something that I had pass by. 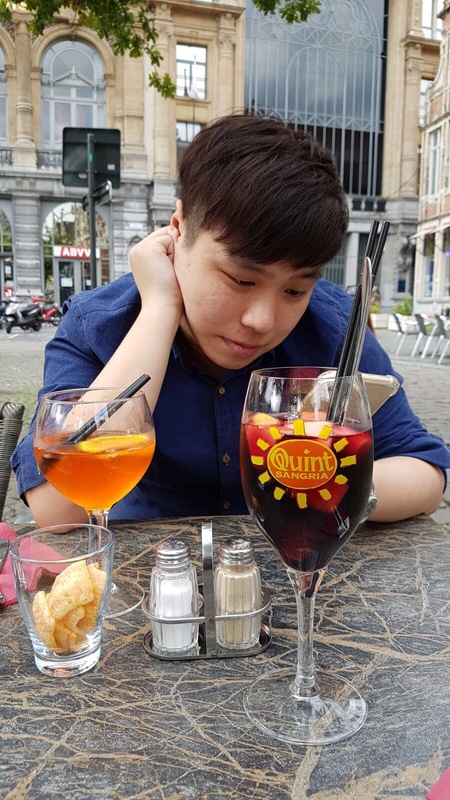 Brussels turns out to be a city that I love a lot and I never regret my decision to spend 7 long days there, I had the best company and the most chill time that I had over there! Chloe, Mussels, Beer, Fries that is mostly how my 6 days were spent in Brussels. After all there are more than enough beer for every hour of your life you are there. Come to think of it. I really like this beer that is triple the normal alcohol content. Sidewise. 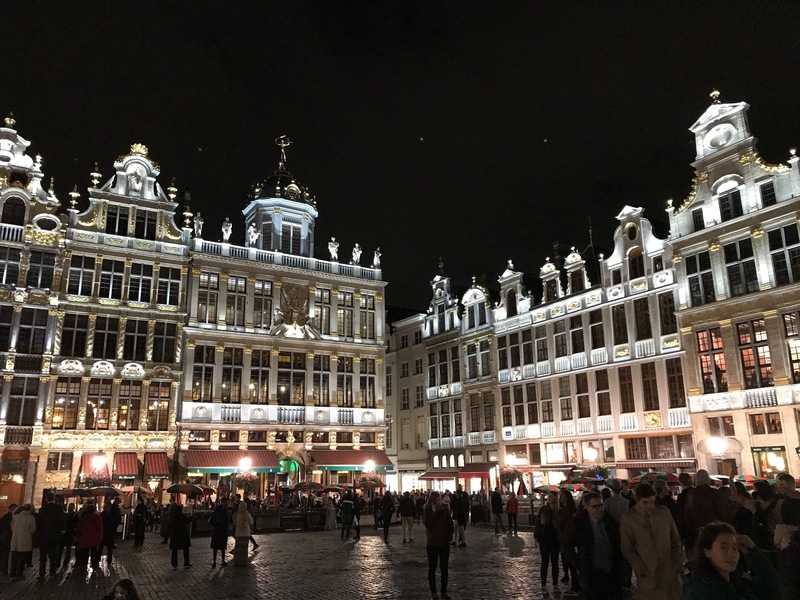 Let me share a little on the places that I went in Brussels. Some of them was places that I wanted to go myself and also the places that my host recommended me. This is probably a little funny! Dennison this guy is going to share about a crepes place when he is in Brussels. Isn’t Crepes a french thing. 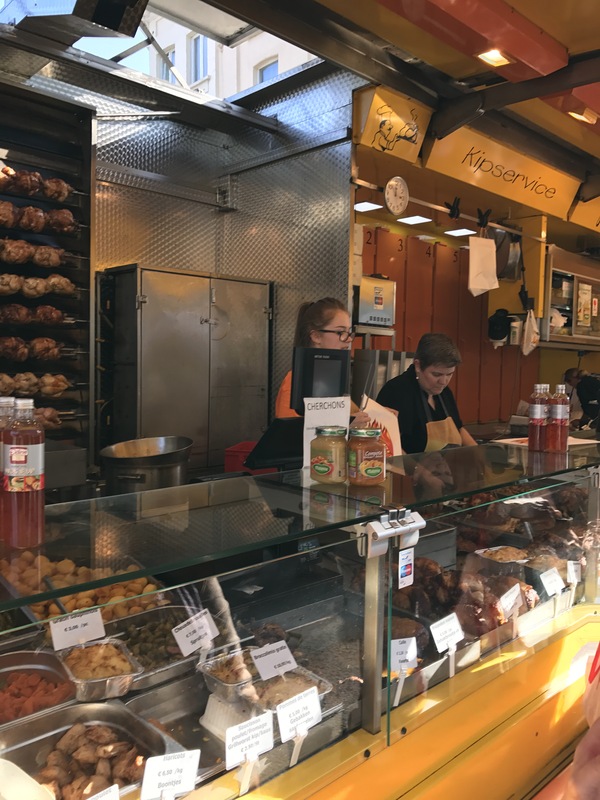 In Belgium, due to the close proximity to France and influences, especially Brussels, you can definitely find a lot of french influenced food. Crepes is definitely one of it! If you didn’t know, French and Flemish is the two main languages in Belgium! In Brussels it is definitely the french part! 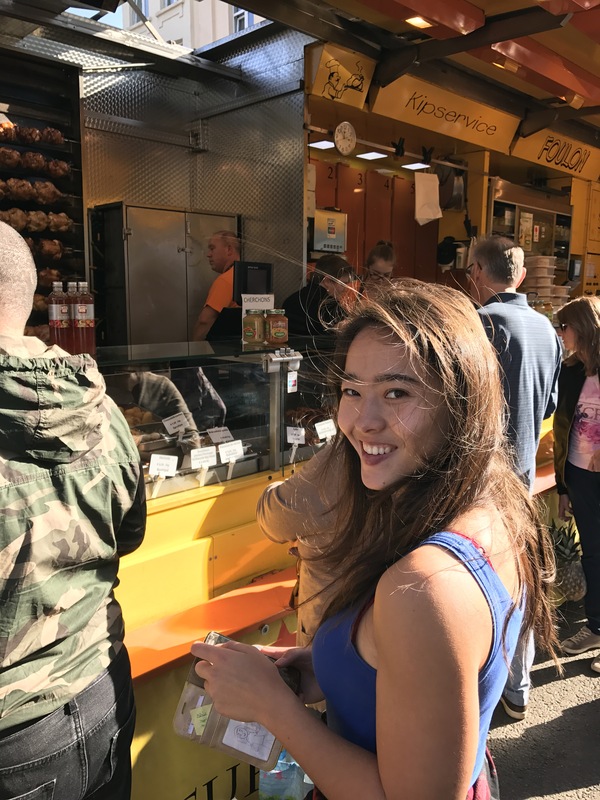 Cut the story short, this place is actually recommended to me by my host Chloe! Now you know that it is good! Especially when it comes from the local. 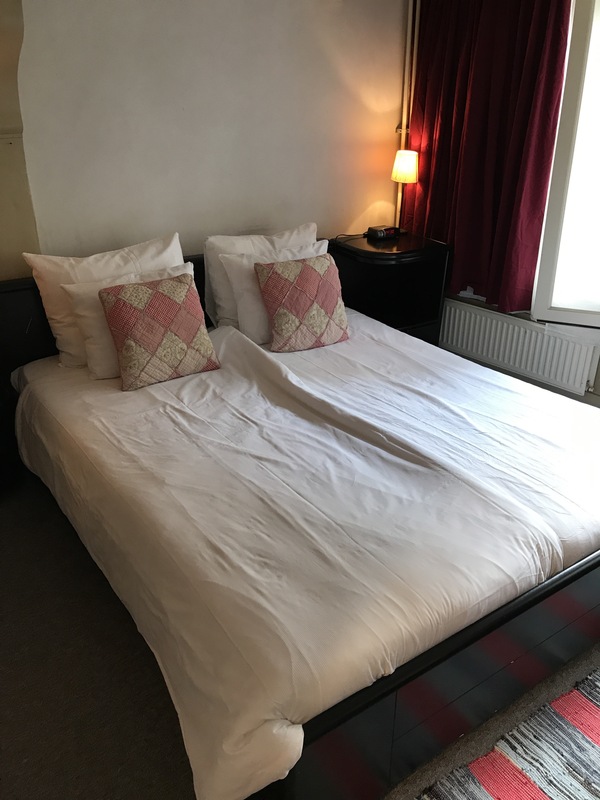 The place is right in town, just a five mins walk from Grand Place. This will be a super short and concise post actually. 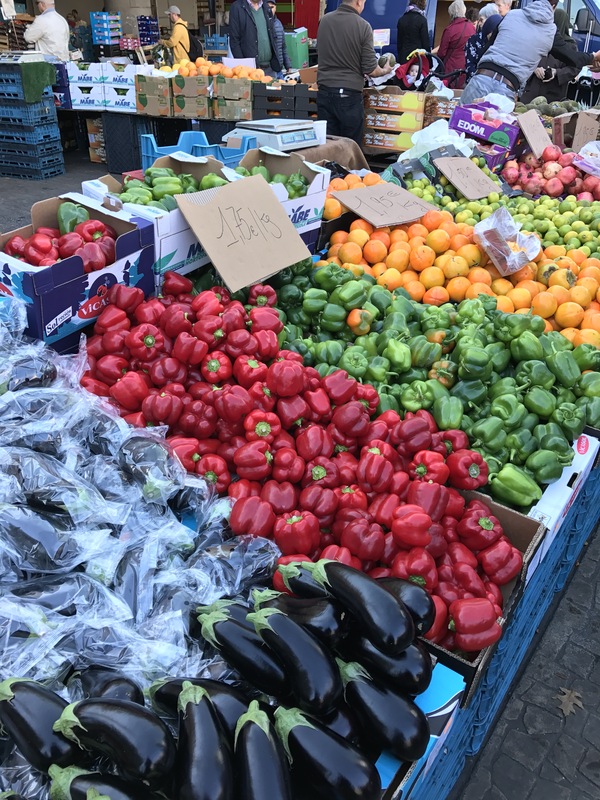 If you had known me personally or have met me on my travels before, you will know that I really like visiting markets, be it supermarkets or the local ones that the people goes to for their everyday needs, I love it! Even during my free time when I am waiting for a friend or just walking about on my own, I love to walk around the supermarkets in Singapore too! I kinda avoid the local markets in Singapore as they are really smelly and dirty. The ones overseas are different, especially in Europe as well as Japan. It just look so clean and gourmet. The thing that I really like about this is the ability to see different stuffs, the new and the ones that you have never seen before. Even the vegetables, the tomatoes or the carrot are different that the ones you have at home. Here the carrots comes with the greens, the broccoli and cauliflower comes with the leaf. Tomatoes alone will keep you busy for a while. It is really an eye opener for me as well! See all the stuffs that I do not have back in Singapore. 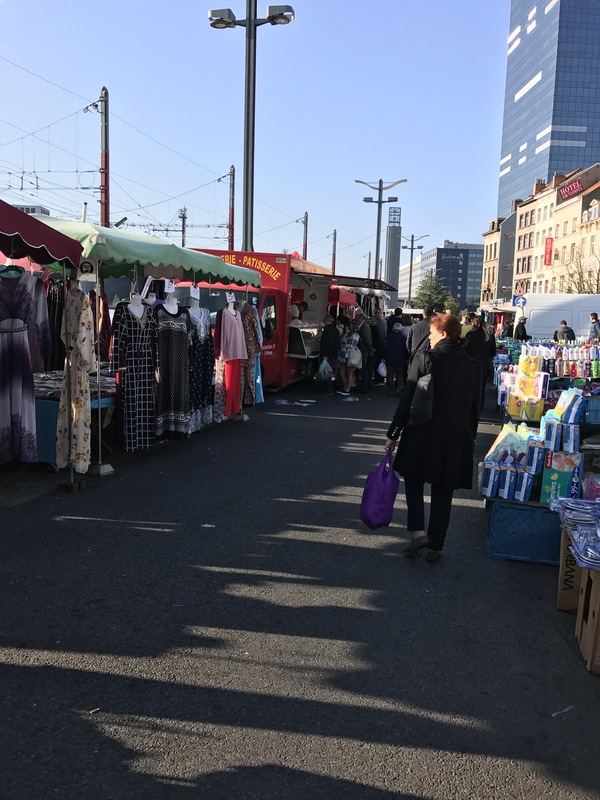 This time I would like to share on my visit to the Zuidmarkt in Brussels. 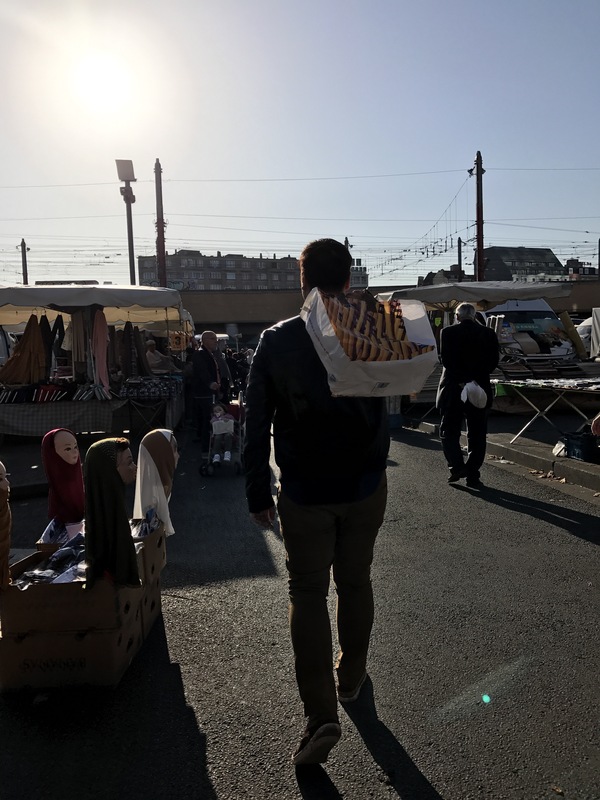 According to some googling, it came up to my “to go” list when I saw that it is actually the largest market in the whole of Belgium. As per my last post. 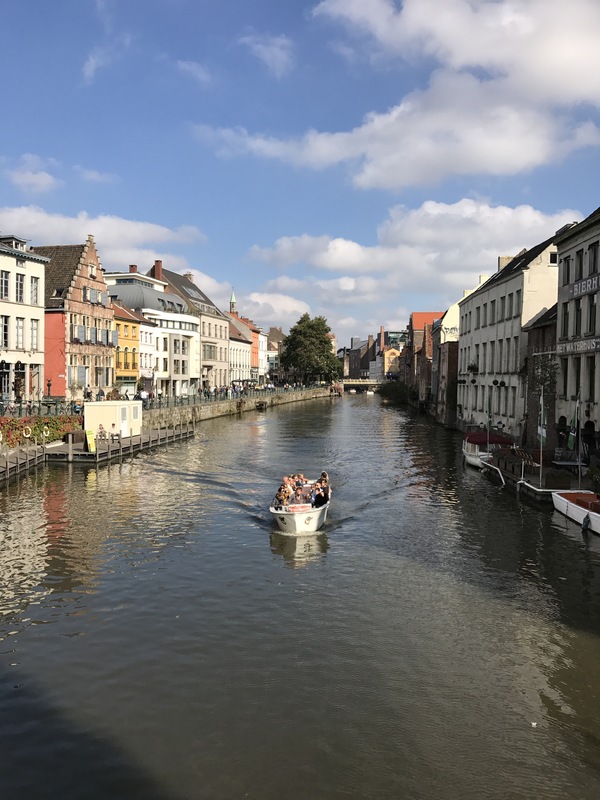 I mentioned that I was travelling to Ghent for a day trip with my host from Couchsurfing. We arrived in Ghent after an hour of train ride. We just bought the ticket on the day itself at the train station. On the weekends you can actually buy a one way ticket and the return journey would be free anytime on the weekend. You can just check the schedule and take any train you like. Although there isn’t really any fuss, I would advise that you actually check the schedule and see which train to take since some are faster than the others. Our ticket cost 10.20 Euro per person on Second Class. Hop on to the seats and off to dreamland we go, the both of us! On the weekend, where I was based in Brussels, I took a day trip to Ghent. I was really glad to cover another city of mine. Step by step, what was even better was the company that I had! My host very delightfully join me on this day trip! It was really so fun. No matter how great the experience might be to travel alone and be independent. It is always nice to have a company, a partner and definitely a photographer to travel together. Before I come and share my thoughts on Ghent, which I will cover in the next post of mine which I promise that it will come very very soon! Today I would like to share on the meal that we had in Ghent. After about an hour of train ride here we are in Ghent! The first impression was it being so different from Brussels. It look the similar but you can definitely feel that the vibes are different. To cut things short, we took a tram into the city centre and after a hour or so of walking around, photos and trying to find out the local market. Somehow we realise that the market wasn’t open on the day that we were there. Feeling the hunger in us, especially Chloe who can really eat a lot. We finally settle at this restaurant called Brasserie De Jacob! 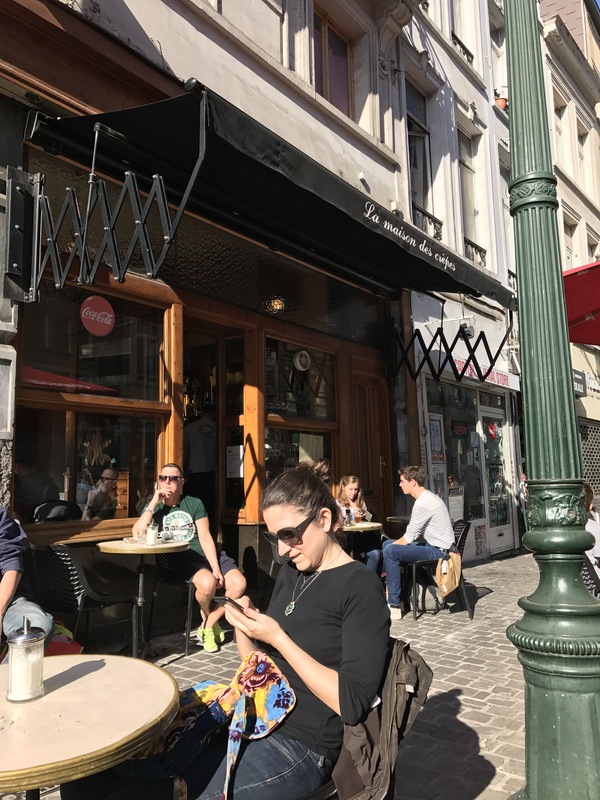 It is located in one of the squares, anywhere Ghent is pretty walkable.